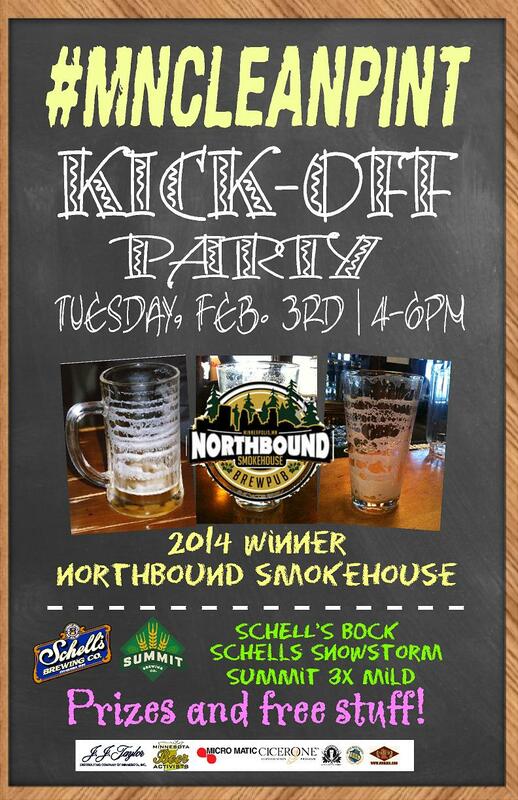 The 2014 winners of Cleanest Pint in Minnesota, Northbound Smokehouse, will be hosting the official Kick-off party on Tuesday, February 3rd from 4:00 to 6:00pm! Featured brews: Schell’s Bock, Schell’s Snowstorm, and Summit 3x Mild. Prizes will be given out randomly throughout the entire month to people who use the hashtag #MNcleanpint on social media.